Over the years I have collected a number of beautiful needlework and embroidery designs, transfers, and patterns. I just love vintage linens and embroideries and thought I would share some of the lovely patterns I have scanned and cleaned up. This beautiful rose motif would make a great tea towel trim or a pillow case edge. It would also make a beautiful cushion in Victorian or cottage colors. I scanned the motif from the original 24” x 36” pattern sheets and cleaned it up using Photoshop. You are welcome to download a copy for your personal use. Do not duplicate or sell these patterns. This Daisy motif would be so delicate done in pretty pastel colors with lazy daisy stitches and french knots. Or it could be done in all one color like redwork or bluework. This delicate little border is a nice complement to the daisy motif. I can see it around the edge of a table cloth, a quilt border, or the edge of a pillow case. It would also look great on a pretty tea towel. This basket design is a classic embroidery design. But I just love the graceful swooping vines and the cross hatched basket. This would be so pretty on a towel, a cushion, or a pretty quilt block. The patterns for all of these embroideries are on my Flickr site. 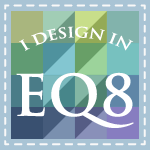 If you like these designs please leave a comment and let me know so I will know whether to do more of these in my blog. If you use one of these patterns please send me a pictures so I can post it!! Thanks! I just spent a really great day as the guest of the Hill n Hollow Quilt Guild of Mountain Home, AR. 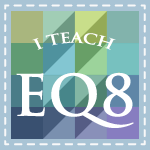 I was invited to give a guild presentation on EQ6 at their guild meeting and do a workshop on EQ6 for 15 students! Whew, it was a jam packed day, but so fun to be among such talented quilters. I want to thank Mary Ann and Vicki, along with president Carol for making me feel welcome, and taking such good care of me during my visit. Now, I have time for a nap and in the morning, on my 6 hour drive back to KS I plan to stop at LOTS of quilt shops! Whooo hooooo. One of those shops is Thus & Sew on Hwy 5 in Mountain Home, AR. Joyce Havner, the owner was a delight and we shared quilt stories, patterns, and ideas for almost an hour. Her small but well stocked shop is a quilter's dream, and she does long-arm quilting in her "spare" time. If you are in the area I urge you to stop there and visit Joyce's unusual, fun little shop. She is also a rep for Handi Quilter and has an HQ16 machine and frame for sale for a real bargain, if anyone is shopping for one. I stopped at 2 other great shops in Mountain Home: Sew Unique is a great shop with class room space and lots of fabric patterns. I picked up some wonderful local hand dyed fat quarters there. Remember Me is in an old house and is chock full of more bolts and patterns and books than you can shake a stick at. I never did get upstairs to her gifts and crafts! I got carried away in her sale patterns and books on the front porch! Both shops were terrific and the owners hospitable and helpful. I would recommend a stop at both of them if you are in town. 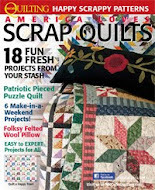 Hope you are having a quilty day!